I follow inVision on Facebook. It’s a web design company that I think is really creative. 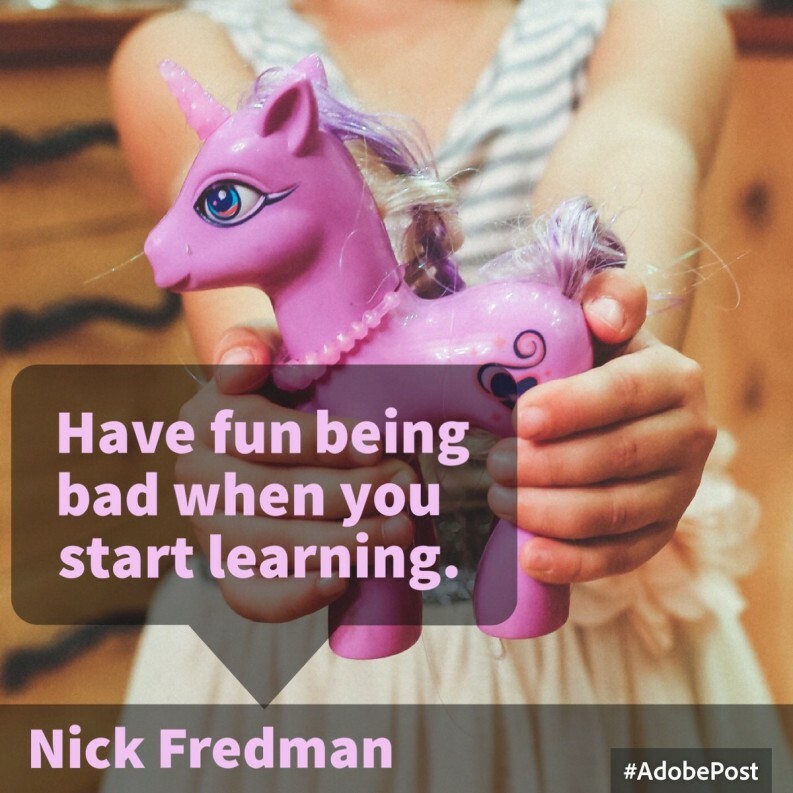 Nick Fredman posted an article on the in Blog about becoming a Unicorn. What is a Unicorn? It’s a designer who codes. I don’t know why this continually surprises me but there are parallels in the design world and the instructional technology world. In the instructional design/instructional technology world our Unicorns are the people who are using the rapid development tools (Captivate and Storyline) and dropping in some really engaging interactions they built with HTML or Adobe Animate or other cool software. Sometimes Unicorns are just coding eLearning and not using the rapid development tools. I just wonder, how many times to we as IDs have the same thought that Nick Fredman did? I have a love-hate relationship with being out of my comfort zone. I hate the thought of it and it takes me a while to want to be there. However, when I am there amazing things happen. I grow in ways I’ve never thought possible. I have this comfort zone problem with being a Unicorn. I’ve tried learning HTML a few times now, I get so far and I get bored with it. Sure, I can set up an unordered list in the LMS or tinker with the CSS on my website. This stuff is hard, not everyone can and wants to do it. These people are hard to find and that’s why they’re called Unicorns. However, I think this is something that I really need to start working on. I can see where it will help me to build better eLearning. Hard work is a wonderful tool. Learning and being bad at something is fun.